Who can I contact about my pension plan? Every occupational pension plan (Defined Contribution (DC), Additional Voluntary Contribution (AVC) and Defined Benefit Plans (DB) appoints Trustees to oversee the running of the pension plan and make sure your interests are protected at all times. The name and contact details of the pension plan contact and the Trustees are listed in your 'Member Schedule' or 'Member Guide’/ 'Member Booklet' which is issued when you join the pension plan. 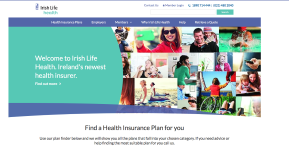 You can also find the contact details for your pension plan in your annual benefit statements (DC, AVC, DB plans) or online in Pension Planet Interactive www.pensionplanetinteractive.ie/ in the “Scheme Details” section (for DC and AVC Plans). If you have any queries you should talk to either your HR manager or the plan contact person, who acts on behalf of the Trustees. If you are a PRSA customer (Personal Retirement Savings Account) or a PRB customer (Personal Retirement Bond) please contact your financial adviser or Irish Life Corporate Business. Many schemes also have an appointed independent financial adviser who looks after queries on the pension plan. Please contact your HR manager or your plan contact person to get details of your plan’s financial adviser. 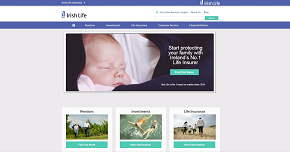 You can also find the contacts for your financial adviser in Pension Planet Interactive (for DC and AVC Plans). For queries about your Personal Retirement Bond contact the PRB team on phone 01 704 1848. 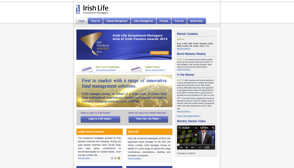 Irish Life Corporate Business has a complaints charter which sets out the contact details and steps for a complaint. You can download the complaints charter here.